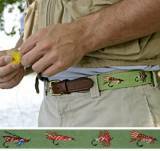 Smathers And Branson Nautical Flag Dark N . . .
We have spotted our traditional needlepoint belts at cocktail parties and at the office, but they are also perfect for a day on the water, the links, or a night at your favorite watering hole. 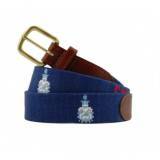 Wherever you may be, your belt will set you apart from the average waist. 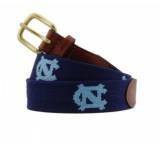 Please also see our wonderful wallets and flasks that we offer. 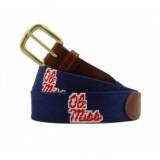 We still have these available for delivery by December 24th if they are not monogrammed. 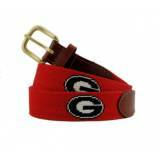 We can also monogram the belts for your favorite guy, but this will take about 6-8 weeks. 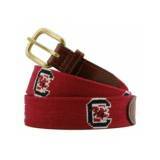 Smathers and Branson offers the only officially licensed needle point collegiate belts. Over 70 schools available! 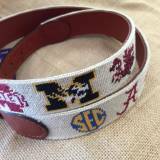 Many can also be monogrammed. Contact us for items available for your favorite. 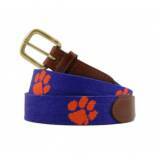 Want your favorite school for a belt. Look to our pictures on the side and these are the belts we off. 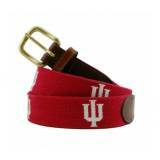 You may email us at Quotes and we will get back to you on the belt.